This image shows part of the dune field just south of the large sand ridge - which is visible on the very top of the image. 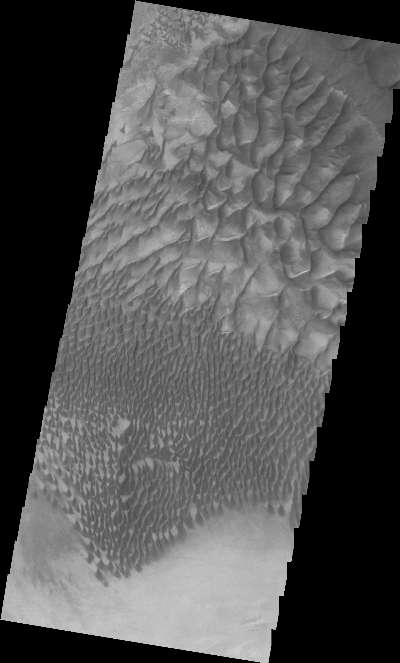 There is a huge range of dune sizes on the floor of Russell Crater. In this image the small sizes are at the bottom of the image and transition to larger dunes at the top. Russell Crater is located in Noachis Terra. A spectacular dune ridge and other dune forms on the crater floor have caused extensive imaging.